I love Halloween and every year I try to create new items that are quick to make and easy to store for the following year. Working with Smoothfoam guarantees my finished project is going to be durable and shatterproof. A plus when we have holiday guests! Sand down the seams of each ball. 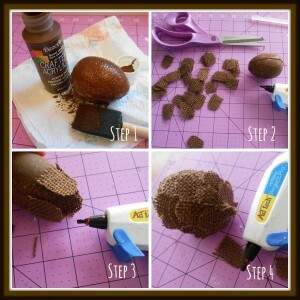 Then tear your crepe paper into 1″ strips and apply to each ball with the Mod Podge. Press a toothpick into each ball, then poke them onto a Smoothfoam sheet or block to fully dry. 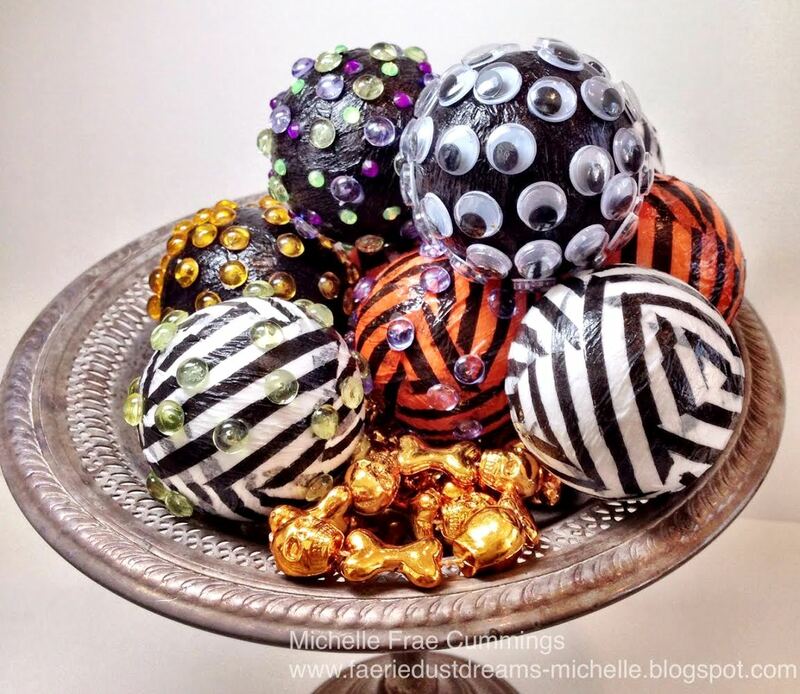 When the balls are no longer sticky to touch, attach the assorted rhinestones, googly eyes and Dew Drops with your tacky glue. Let the glue set before putting the balls on display. Happy fall! The spooks and goblins will be coming out before we know it and it will be party time! Do you like to craft paint? I love it. 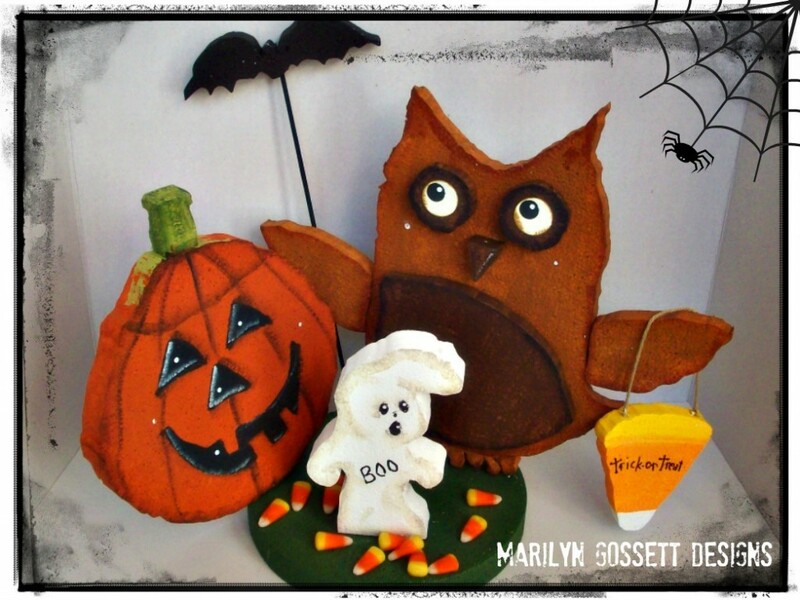 I will tell you, there is an easy way for beginners to paint these Smoothfoam foam Halloween cutouts. It comes in the form of Krylon spray paints! Be sure to choose the kind that says it’s safe for craft foam on the label. I would recommend spraying your DIY Halloween centerpiece if you don’t enjoy painting by hand with a brush. For me, painting is a form of therapy to bring a project to life with just a little imagination! Hope you enjoy this beautiful time of year and the changing of the seasons – may your autumn be filled with special moments and many blessings. Happy decorating, enjoy the little moments along the way and live life with a flourish! To create the foam Halloween cutouts, trace the shapes (or draw your own) with pencil around the patterns on to a Smoothfoam sheet to get as many cuts out of one sheet as possible. Carve away some of the edges from one disc to make it more pumpkin-shaped and save the other disc for the base. Use skewers or toothpicks as handles to paint each piece, allowing to dry thoroughly between coats. Paint the disc for the base of the centerpiece in Avocado. – Stomach, eyes and beak: Dark Chocolate. Poke a hole on each side of top edge of candy corn piece. Glue one end of the jute into each hole. Refer to the photo to connect all of the parts using toothpicks and glue. For larger pieces, use a skewer for more stability. Scatter candy corn around the base. Write “Boo” on the ghost and “Trick-or-Treat” on the candy corn using the black marker. 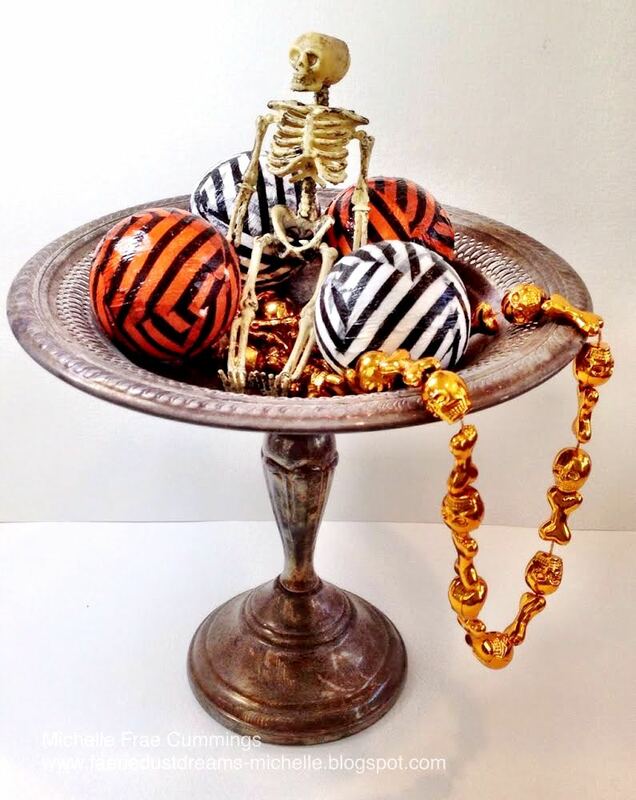 Now you have a festive DIY Halloween centerpiece! I have to admit, I’m not a big fan of Halloween and I’m really not into the scary version, but I have a child – which means Halloween is going to have to be a part of our life. So I try to “cute it up” as much as I can. My daughter loves black cats, so that’s our Halloween theme this year. 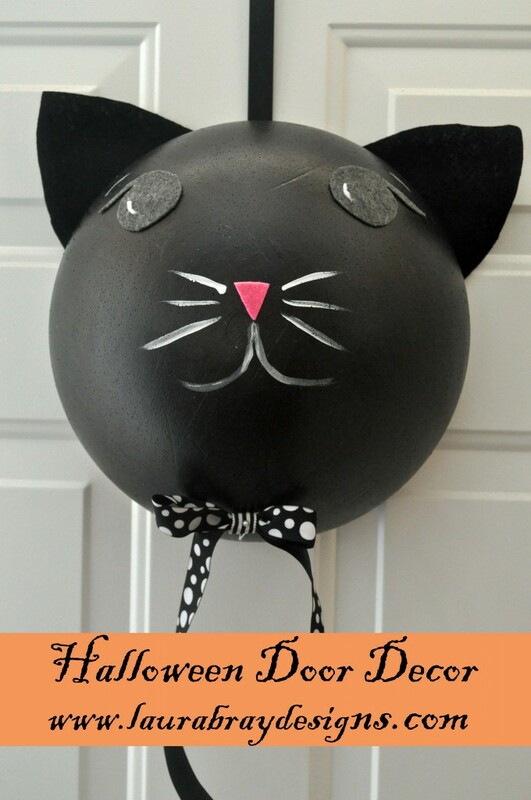 Here’s a sweet black cat door hanger that fits the bill! 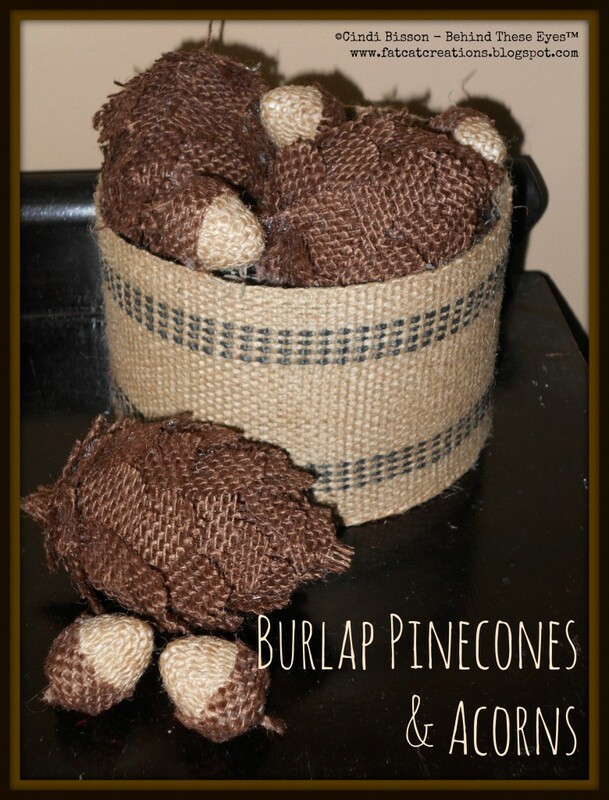 This project is very simple and perfect for crafting with your children. Find other black cat Halloween decorations in our blog! 1. Paint the half-ball black. Allow to dry, then paint a second coat. Allow to dry completely. 2. Cut two kitty ears from black felt, two eyes from gray felt, and a pink felt nose. Glue onto top of the ball as shown. 3. Paint white whiskers and other small details to your cat’s face. 4. Pin a bow under his chin, pin a ribbon loop to the back and hang on your door for a non-spooky Halloween! It’s that time of year again. Crisp fall air, leaves changing colors, apples and, of course, pumpkins! 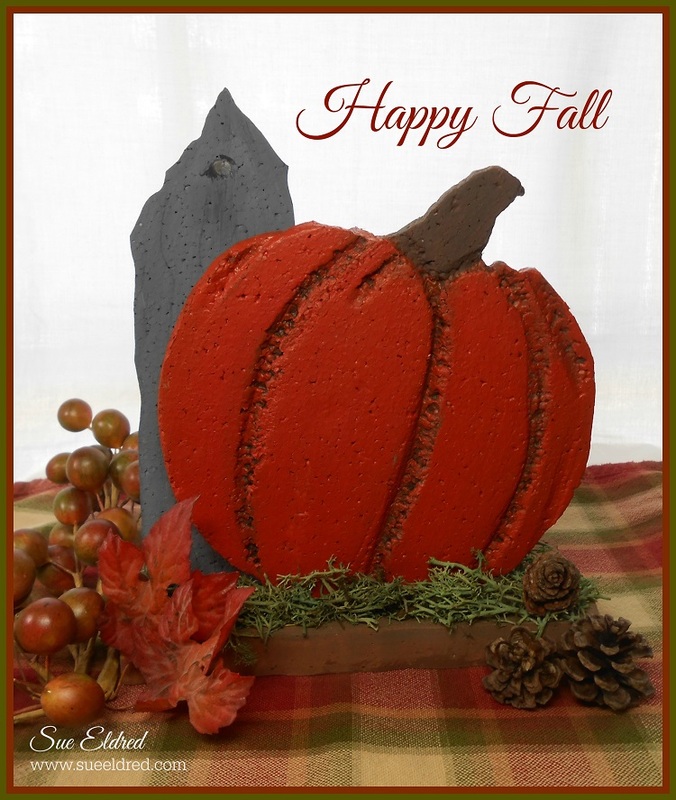 Here’s a rustic pumpkin centerpiece that will look great on your table all season long. 1. 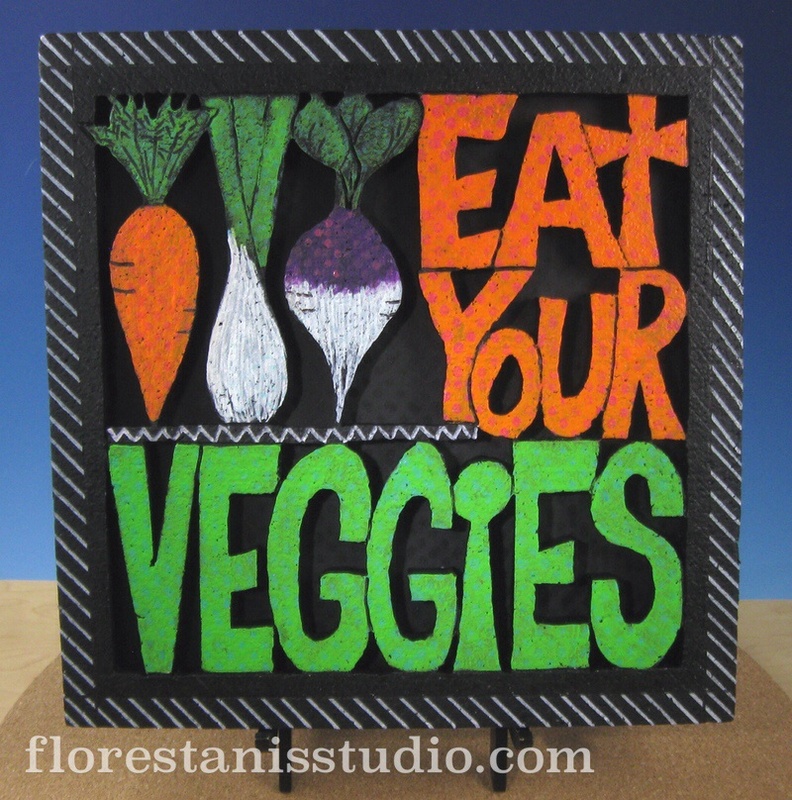 Draw or print a pumpkin graphic on the transfer paper. 2. 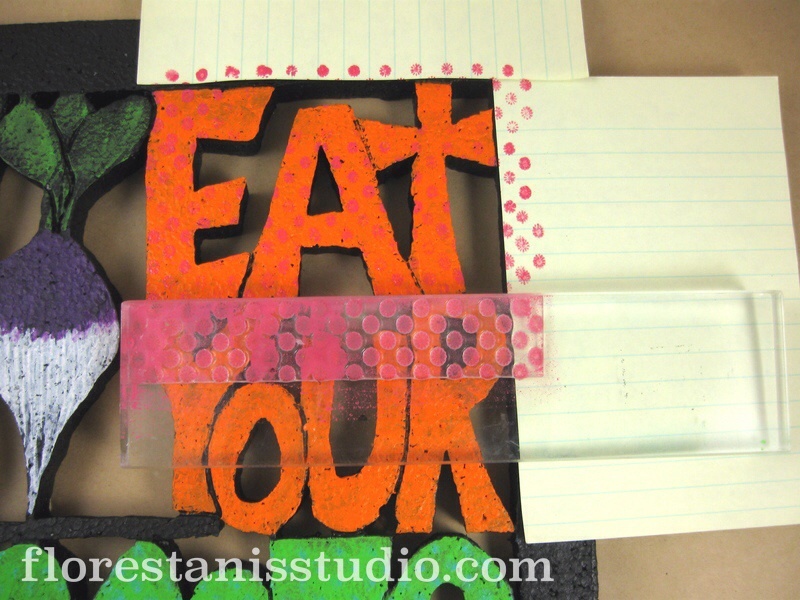 Lay the transfer paper on the Smoothfoam sheet and carve around the outline using either a Hotwire Foam Cutter or craft knife. 3. Trace around inside lines of the pumpkin graphic using a small stylus. 4. Remove the transfer paper. 5. To create the deep grooves in the pumpkin, fold a small piece of sand paper in half and rub it along inside lines. If necessary, sand any rough areas around the outside of the pumpkin. 6. Cut a rough base and picket fence post from the leftover Smoothfoam pieces. 7. Paint the inside grooves of the pumpkin first with the black and let dry. Paint the rest of the pumpkin with burnt orange. Paint the stem, picket fence and base in brown and grey as shown. 8. 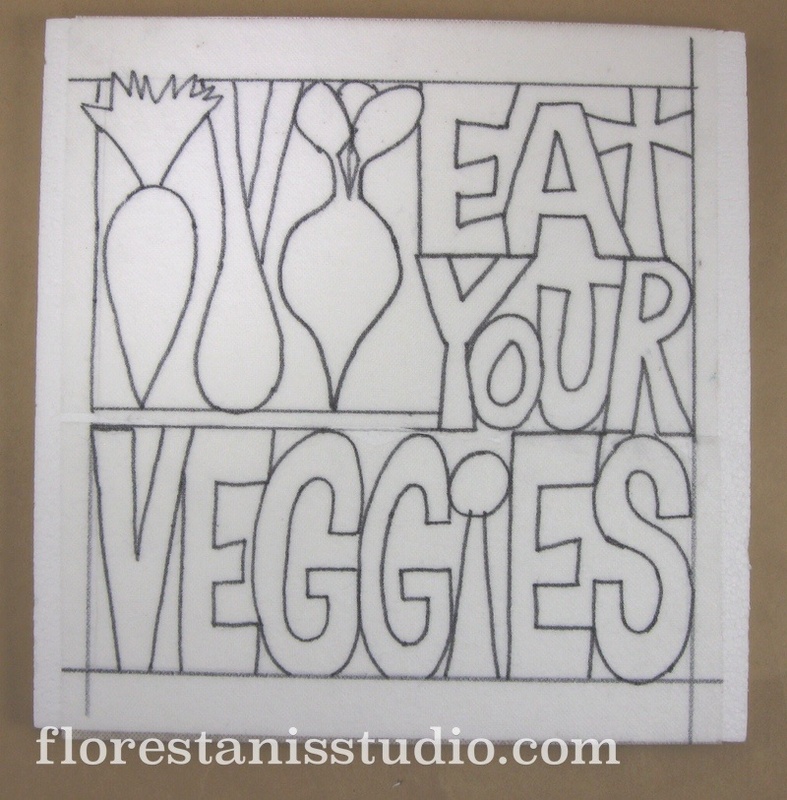 Glue the pieces together – the finished overall size of my centerpiece is 6-1/2″ wide x 7-1/2″ tall. The theme of the shower was “bath time,” which was adorable! My sister made blue gelatin cups with rubber duckies on top, blue punch with more rubber duckies floating on top, and other baby bath touches throughout the party. 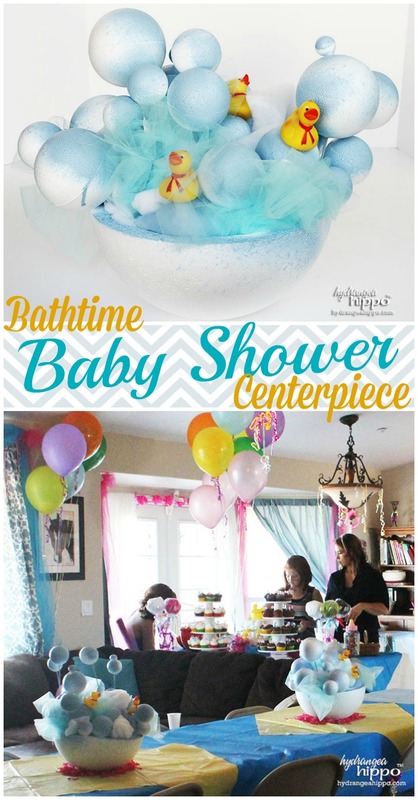 My sister gave me an assignment for the bath time baby shower décor – create a bath time-themed centerpiece that included bubbles and rubber duckies. Thank goodness for Smoothfoam! I created these DIY baby shower centerpieces using various sizes of Smoothfoam balls to create “bubbles” floating above a baby bathtub that I made from a Smoothfoam half-ball. The mom-to-be loved the theme of the shower and had a wonderful time! Next time you need party décor, consider Smoothfoam. Really, the possibilities are endless! 1. Use a craft knife to shave a piece off the bottom of a Smoothfoam half-ball to make it flat so the ball will sit on a tabletop without rolling. 2. 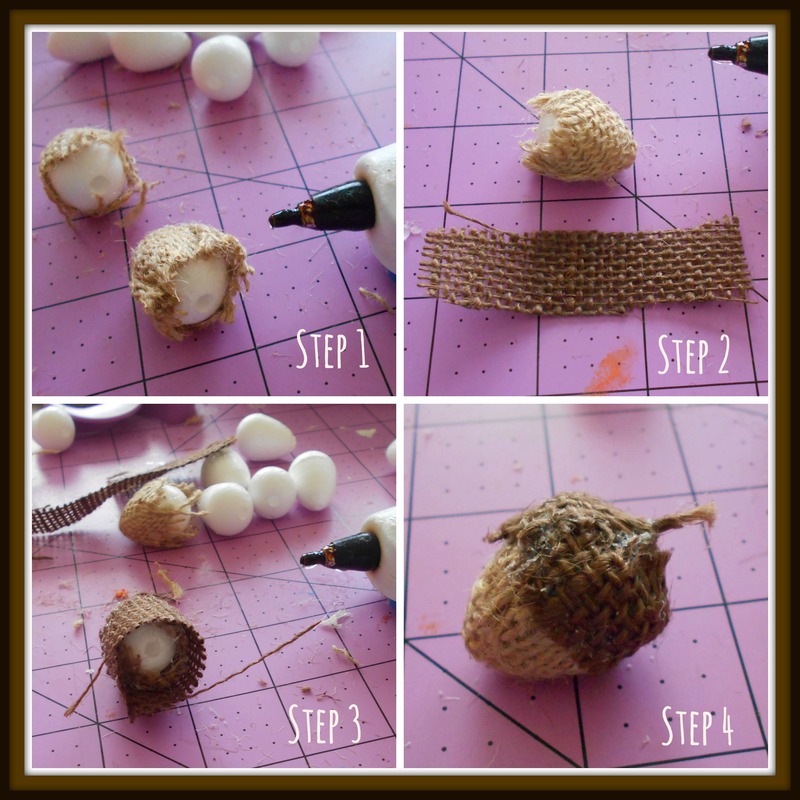 Attach Smoothfoam balls, between 1″ to 4″ diameters, to bamboo skewers adding a dab of hot glue to the end of the skewer before inserting it into the ball. Insert the other end of each skewer into the half-ball, filling the Half Ball as shown. 3. Spray blue spray paint over random sections of the centerpiece and allow to dry. 4. Cut pieces of blue tulle and insert into the spaces between the “bubbles.” Secure with hot glue if desired. 5. Add rubber duckies to accent, securing with hot glue. 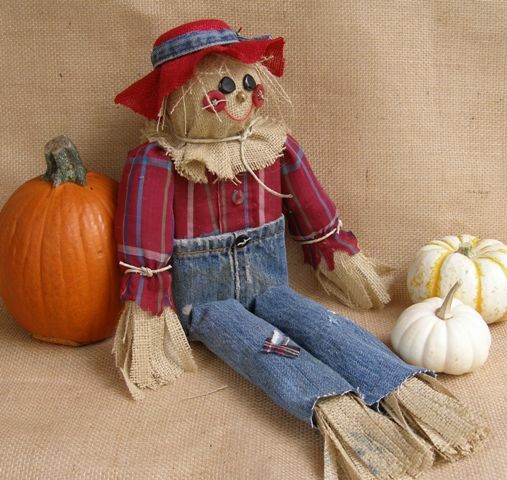 Fall is so festive, with vibrant foliage on the trees and fields of pumpkins…the inspiration for my fall corduroy pumpkin. 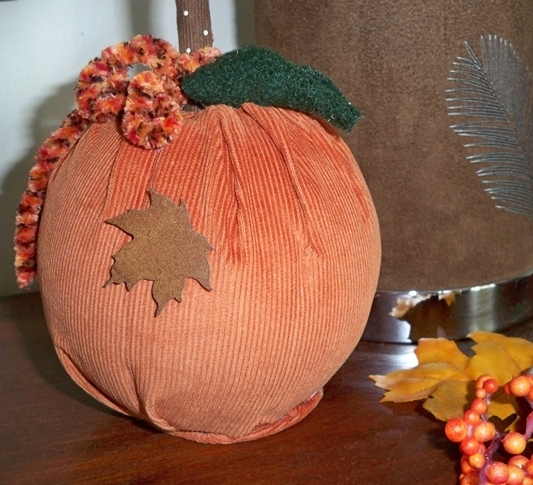 I had picked up some soft orange corduroy and brown polka-dot felt that was ideal for a Smoothfoam pumpkin patch! 1. Cut off a thin slice from both the top and bottom of the ball. Make a hole in the center of one end of the ball. 2. Wrap the corduroy piece around the ball, leaving a 1″ overlap and enough on either end to meet in center. Trim off excess. Glue the overlap first and then fold fabric over both ends and secure with glue. 3. Make hole in center top of the pumpkin. Roll a 4″ by 10″ strip of brown polka dot around a 5″ piece of narrow dowel. Push the bare end of the dowel into the top of pumpkin with a little glue. 4. Cut a leaf shape out of green felt to glue to the top. Tie on some raffia or yarn. 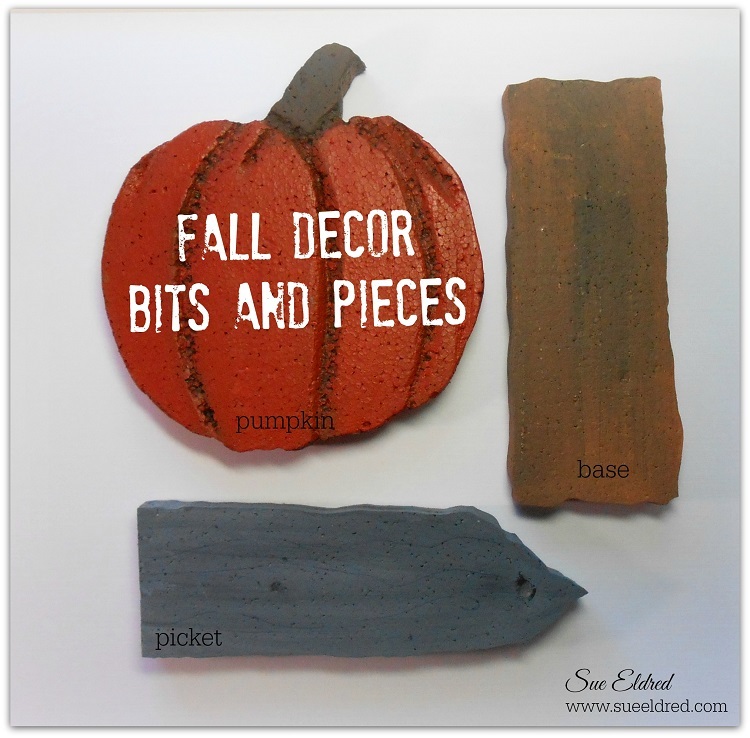 Add a rusty leaf accent and you have a pumpkin! So quick and easy, you can make a whole pumpkin patch in no time! Make smaller pumpkins as place card holders or party favors. I originally added a flat piece of fabric covered cardboard to the bottom, but that’s optional. 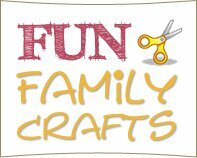 Find numerous fall pumpkin crafts here today! 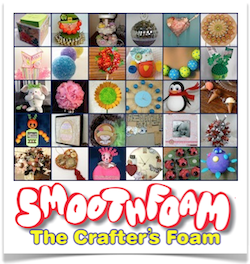 Smoothfoam is so versatile and customizable that I use it in a lot of home décor projects. 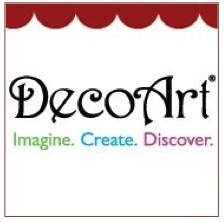 It is less expensive then traditional stretched canvas and can be cut to fit your specific space requirements. It is also lightweight and takes paint beautifully with no special priming or gesso. 1. 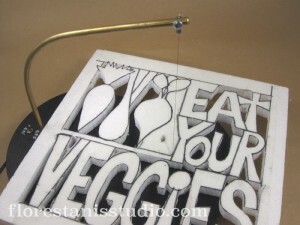 Cut the Smoothfoam sheet to 12″x18″ with the heat tool. Paint a base coat of Titanium White and let dry. 2. 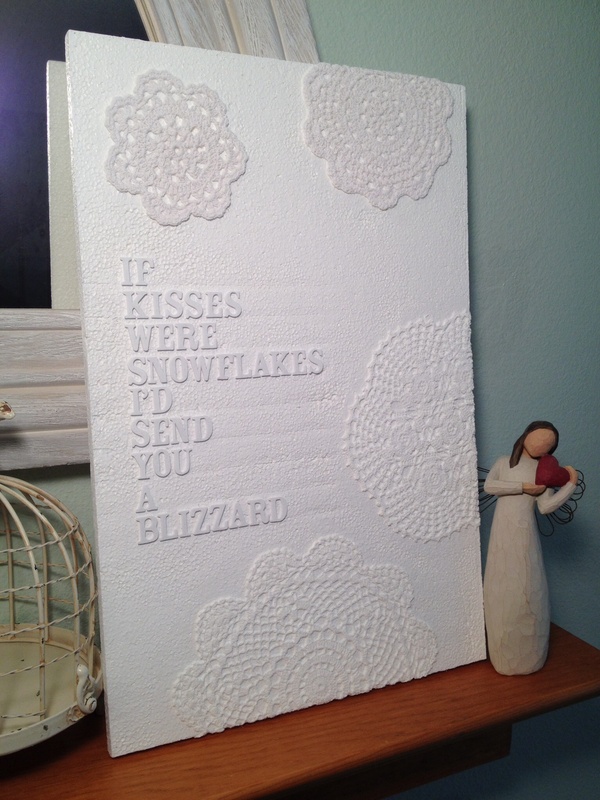 Arrange and glue some doilies on the sheet however you like and set aside to dry. Trim away any excess doily pieces from the edges of the sheet. 3. Measure and draw nine very light pencil lines 1″ apart as shown. 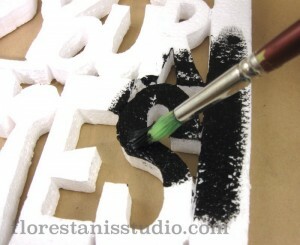 Apply foam letters to create the quote, placing each word on a separate line, then gently erase the pencil lines. 4. Even though all the materials are white, the shades are just a bit different, so spray a top coat of Design Master Flat White to create a perfectly matte white art panel. 5. Prop up on the mantle or a table. 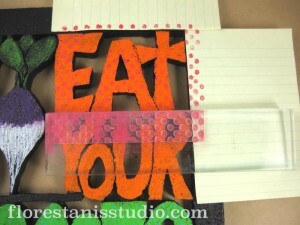 For hanging on the wall, glue a 12″ piece of ribbon to the back.